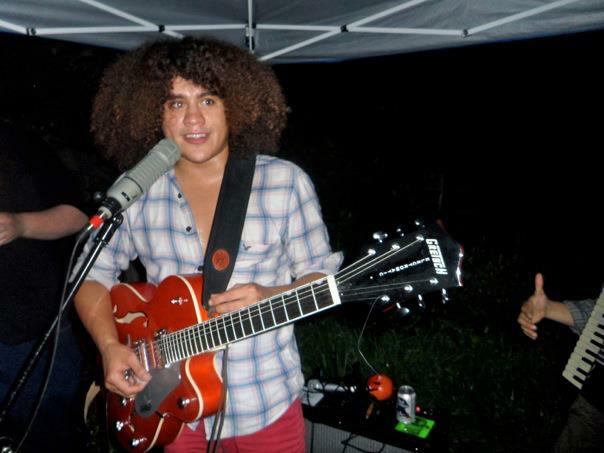 For those of you who don't know, José Oyola is a new haven musician and the man behind Taco Hut Music and Taco Hut HQ. He is currently in the process of putting together his debut album "Give, Give, Give. Take, Take, Take." and wants YOUR help in making the album a reality! José Oyola has started a kickstarter for his debut album and along with some fundraising shows and of course, your help, this should be an easy task! He had a show last Tuesday to help with the kickstarter at Lyrics Hall with such local heros as: Sidewalk Dave, Milksop:Unsung, Kindred Queer, Elison Jackson and Dan Rice. 15 days to go on this kickstarter to get your wallets out and make this happen. Local art depends on you now! GO TO THE KICKSTARTER PAGE HERE!!!! Broken down it does not seem as daunting as just looking at $3,882 and it shows how much EVERY single pledge small or large counts!